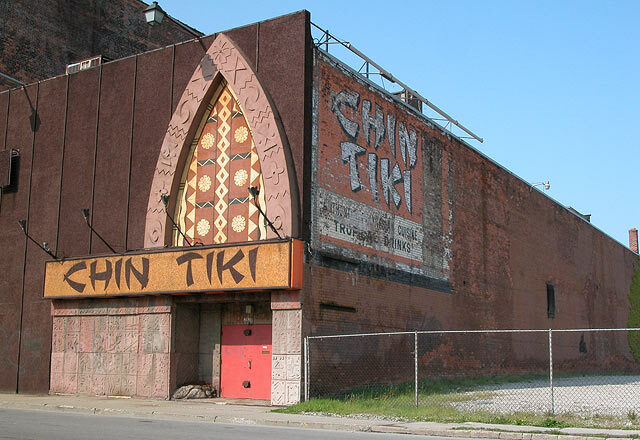 Once a famous Tiki restaurant in downtown Detroit, the Chin Tiki has been dormant and abandoned for decades although it was briefly reprised as a set for the movie 8 Mile. 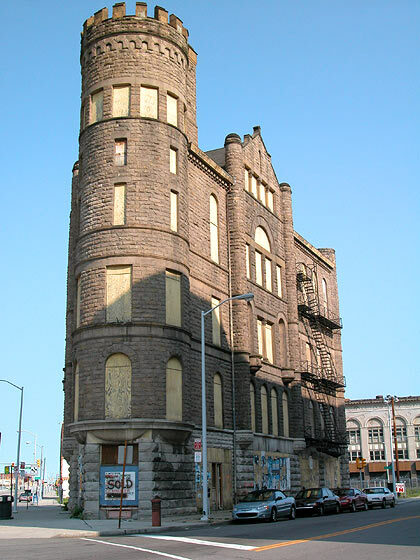 It is located north of and adjacent to the the fabulous ruin of the Loyal Order of Moose lodge. To the south of the Loyal Order of Moose [seen in right background] lies the fortress-like GAR [Grand Army of the Republic] building. Likewise abandoned for decades, it was recently announced that it is to be revived as the headquarters for Olympia Entertainment.